HDFC’s annual general meeting on July 31 has raised issues that could have wider ramifications on how investors vote on matters of corporate governance. 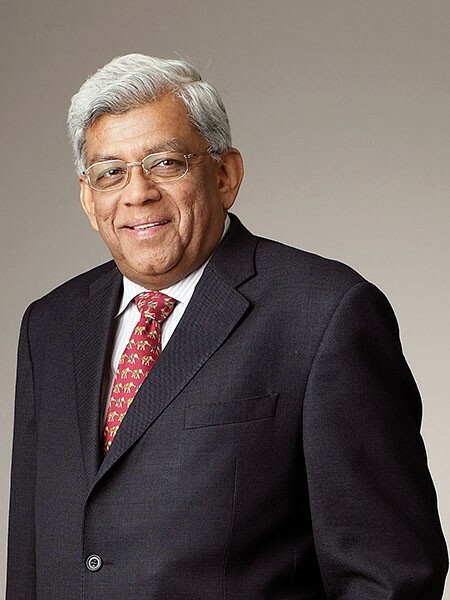 Two large US proxy advisory firms—Glass, Lewis & Co and Institutional Shareholder Services—had advised investors to vote against Deepak Parekh (in picture) in his reappointment as a director on the board, citing that he was on the board of eight other companies, which could prevent him from exercising his duties ably. Parekh barely scraped through, with 77.36 percent of votes in his favour (more than 75 percent are required to continue as a director on the board). Parekh, the non-executive, non-independent director on HDFC’s board, was director in 16 listed companies, according to HDFC’s annual report for 2017-18, including HDFC group subsidiaries. Two other senior HDFC directors, former Reserve Bank of India governor Bimal Jalan and chartered accountant Bansi Mehta, who were also in line for re-appointment, decided to resign after proxy advisory firms told investors to not vote for them as well. What Subrmanian says has some merit. Even though foreign proxy advisors could make recommendations, eventually it is investors who exercise their vote, and Sebi regulations will not affect decision-making.